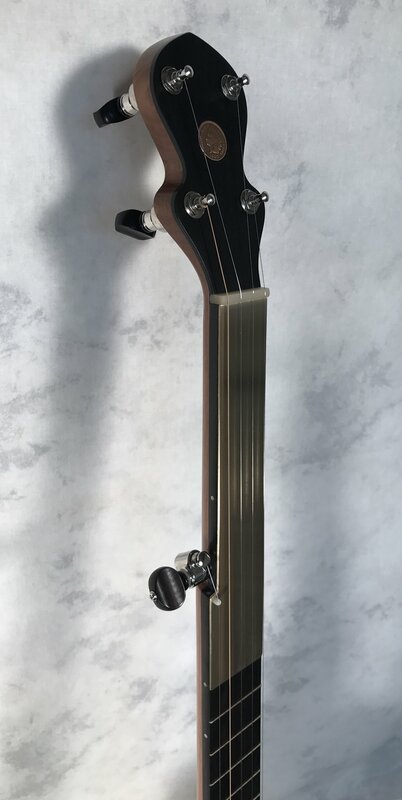 This is an 11" Spartan silverspun banjo. It has a cherry neck and rim. The fingerboard is fretless to the 7th fret, then fretted to the 17th with ebony gold frets. This banjo headed to Torrey, Utah.